Our range of CDs includes beautiful compositions, often with mantra-singing, and suitable for all kinds of yoga, meditation, conscious living or simply just for "easy listening" and inspiration. The artists often work together with diverse elements of style and with musicians from various cultural and social backgrounds. So elements of folk, new-age music, indian Raga music, classical, jazz and modern music come together with diverse instruments eg. guitar, piano, synthesiser, string instruments, Indian instruments like sitar, sarod, tabla (and others), percussion, harp or bamboo flute. This music offers the range from flowing compositions to rhythmical, innervating pieces. At the same time, it maintains always an authentic, meditative and deeply involving character, that has the capacity to touch the soul. Gurudass Kaur's unique Top-Seller album Lovingly contains most wonderful spiritual mantra- and chant music, including a 28-page booklet containing all mantras and meditation-movements explained in five different languages. 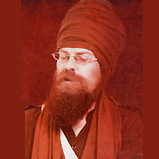 The top-selling album Circle of Light by Guru Dass Singh and Gurudass Kaur is really a great mantra- and meditation CD. On their album One in Everyone, Tera Naam express the full range of their musical skills, making this album a real musical tidbit - a great declaration of love to the Divine and to the Oneness in all of us. Official music video "Gobinde Mukande" now online! Sat Hari’s Album Servant of the Heart captures the heart through classical Mantras, ingenious arrangements, wonderful melodies, and the voice of Hari Bhajan Kaur. Kamari & Manvir's album Mantra Lounge leads you on an ambient sound-healing journey of sacred Sanskrit & Kundalini Yoga mantras to relax the mind and uplift the spirit. Mardana’s album I Have Found In Me describes the journey of the soul with great musical depth, making this unique music multifaceted, diversified and full of atmosphere. The deeply devotional voice of Sat Kirin's fusion rendered mantras embellished with musical artistry of world-class-format give us this uplifting meditative experience. One of the Top-Hits at the European Yoga Festival. From zero to the top, as we rarly see it. Ram Singh's debut album Har Ji touches the listner with his warm voice and an incomparable meditative space. Dance and Meditate! combines powerful Kundalini Yoga Mantras with modern sounds and rhythms, rsulting in a unique music that goes straight to the heart, and to the feet! Sadhana for Chateau Anand features not only the full Aquarian Sadhana with stunning melodies and arrangements, but also bonus tracks as well as a rich, colorful music of a rare kind. With gentle melodies, sometimes soft and sometimes with dynamic rhythms, Mirabai Ceiba guide you into the dawn of a new day and inspire you from inside with their Mountain Sadhana. Here are powerful mantras from Jaap Sahib in classical indian music stlye, sung in traditional Raag by Chardi Kala Jatha, deeply authentic and very meditative. These mantras are perfect for meditation or the practice of yoga. New production arrived - finally available again! Vast selection of inspiring Kundalini Yoga music with mantras, shabads, kirtan and songs of world famous stars - for yoga, meditation, relaxation, singing and chanting, listening and teaching. Selected yoga music CDs of famous artists from the yoga, mantra and kirtan scene for your yoga practice, movement, spirituality, inspiration and yoga classes. Mantras as an integral part of Yoga connect through their high vibration with the consciousness and the heart. Mantra music is uplifting, inspiring and relaxing. Selected meditation music for inner balance, relaxation, clarification and focus of the mind, suitable for all sorts meditation techniques from Yoga to Zen. Soft atmospheres, gently flowing soundscapes and lovely melodies full of harmony and lightness - our relaxating music comforts your body, mind and spirit. Rhythmic, stimulating and dancing music full of energy, inspiration and fire - ideal for active yoga, exercises with lots of movement and dynamic therapy forms. Meditation, mantra, rhythm, relaxation - from classic kirtan to sing along over gentle melodies to danceable Asian groove - the link from East to West is just fun! Selected Gong CDs with relaxing-gentle and powerful-stimulating gong sounds - masterfully played by various artists, soothing, uplifting and transforming. Wonderful music for healing, Reiki music, Ayurveda music, soothing music for releasing tension and for deeply relaxing, music for massage and therapy. Indian Harmoniums in various sizes, models and colors. Tam Tam Gongs, Gong Stands and Gong Bags in different diameters and sizes.